﻿ Welcome to Interspeech 2014! The 15th edition of the annual INTERSPEECH Conference will be held 14-18 September in Singapore, with the support of the Chinese and Oriental Languages Information Processing Society (COLIPS), Institute for Infocomm Research (I2R), and the International Speech Communication Association (ISCA). Over the years, INTERSPEECH has become the major international scientific event in the field of Spoken Language Processing and Speech Technology. The conference features world-class speakers, tutorials, oral and poster sessions, exhibitions and satellite events, and gathers over 1200 participants every year from all over the world. The objective of the 15th edition is to foster scientific exchanges in all aspects of Speech Communication sciences with a special focus on the diversity of spoken languages. We are pleased to invite you to take part in this major event as a sponsor. Your involvement will play a meaningful role in advancing the field of speech technology and help us keep registration fees affordable worldwide. Sponsoring INTERSPEECH 2014 will also help promote your institution’s visibility through various modes of media, be it the conference website, the program book, or banners. Among the benefits your support will bring you, the opportunity to meet and network with the 1200 attendees is certainly a very valuable one, too. We hope that you will respond positively to our invitation and become a partner of this 15th edition of INTERSPEECH in Singapore. 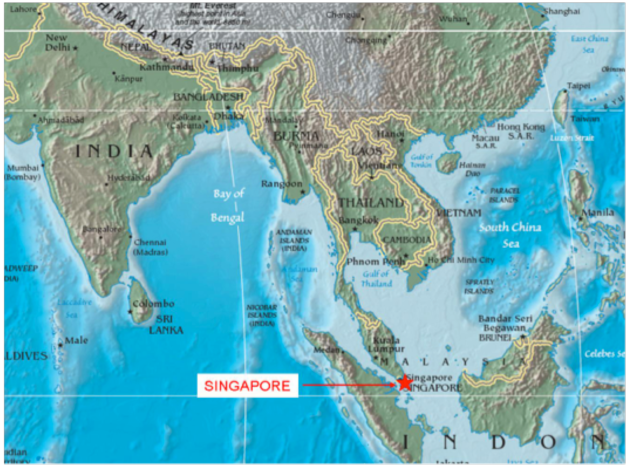 Singapore is a Southeast Asian city-state island off the southern tip of the Malay Peninsula. Located at the crossroads of the East and West, Singapore is a cultural and economic hub: a harmonious society created by people of diverse races, religions, and languages. Singapore is a tourist hotspot, offering a blend of Malay, Chinese and Indian delicacies, futuristic architecture, sunny get-away resorts, vibrant shopping malls, and dazzling nightlife. INTERSPEECH is the annual conference of the International Speech Communication Association. Each edition has attracted more than 1200 participants from all around the world, that include researchers, engineers, students, and R&D teams from private companies, educational institutions, and government agencies. As a sponsor, your involvement will benefit your organization in many ways. It will increase your visibility in the speech communication community. It will provide you with an unrivalled opportunity to network with key players, to demonstrate innovative services and products and to promote this interdisciplinary R&D area. Your participation will help the organizers to keep the conference fees affordable, enabling worldwide participation. In particular, sponsoring will contribute towards grants and travel support to young researchers to participate in the conference.